1988 Established under the original name of Court Kitchens. 1990 The company outgrows its original premises in Brunswick Street and moves to Portrack Lane, Stockton a 20,000 square foot showroom and furniture making factory. 1991 Opens display area for Bathrooms. 1993 Opens display area for bedrooms. 1995 Court Kitchens become Court Homemakers. 2006 Awarded Regional Kitchen Dealer of the Year by PWS. 2008 Management buy-out by Paul Henderson, Paul Davies and Chris Walker. 2010 Court Homemakers open another showroom in The Old Station House, Northallerton. 2011 The company supports the local community by donating a £13,000 fully fitted kitchen to TASC (Teesside Ability Support Centre) in Middlesbrough, opened in October by Mayor Ray Mallon.They also donate a new fitted kitchen to the Herriot Hospice Homecare offices, Northallerton; a charity that supplies Hospice services in the home throughout Richmondshire an Hambleton. 2012 Court Homemakers continue their support of the Touch of Class event, raising money for the Holistic Cancer Care Centre, and donate a £5,000 fitted bedroom. And today… Court Homemakers are still a family run business, growing by delivering what customers want, a friendly, one-stop kitchen, bathroom and bedroom shop. 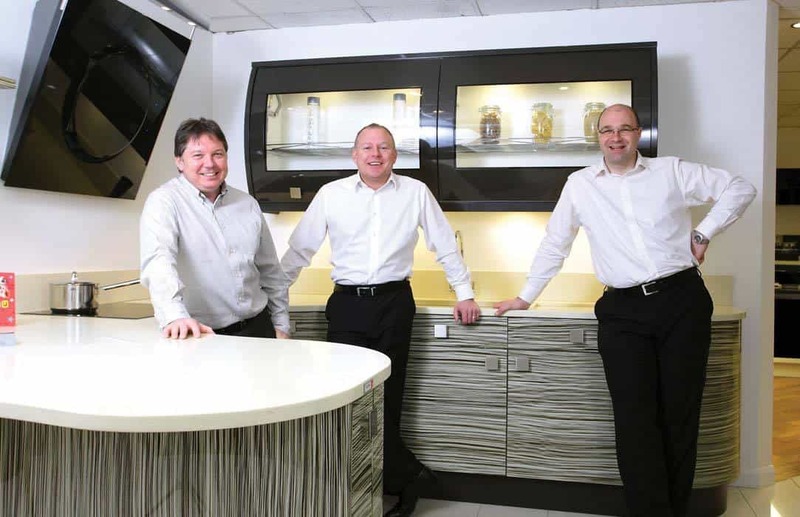 Both our showrooms have room-set Kitchen, Bathroom, Bedroom and Home Office displays where you can sit down and talk to an experienced design consultant over a cup of tea or coffee. These initial discussions are then followed by a visit to your home to discuss your requirements in greater detail and to survey the size and positions of services in the room to be re-designed. After the initial home visit a room plan is prepared and is presented along with a photo realising graphic and free estimate for your new room, based on our discussions and findings. Once you are happy with what you see, feel and sense an initial deposit secures an installation slot; a date when we can start to make your dream room a reality! In our experience one of the problems with tackling home improvement, especially in the Kitchen and the Bathroom, is trying to co-ordinate the timing of bringing in all the different trades. Most people find it almost impossible or, too stressful, to try and organise the plumber, the electrician, the joiner and the tiler to undertake work at the right time and within a reasonable time span to successfully complete the installation. At Court Homemakers you don’t have to, because we do ALL of that for you. Building work is also a big part of our service portfolio, whether it be walls/doors moving, windows blocking/opening or even the installation of a new central heating system, we an take care of it all for you. You see, we’ve been doing it so long we know who, what, where and when and that’s why we truly are you one stop kitchen, bathroom and bedroom shop!